David went above and beyond during his service call. We appreciate him and his company. Troy was very professional, polite, and thorough. I appreciated his patience and thoroughness in answering my questions. Troy came out for the annual cleaning of my air conditioner. He was running ahead of schedule, so he had Shelley call me to see if he could come early. He was very polite, thorough, and patiently answered all of my questions. He took his shoes off every time he came into the house. I have always been very pleased with all the technicians from Bill's Heating & A/C. 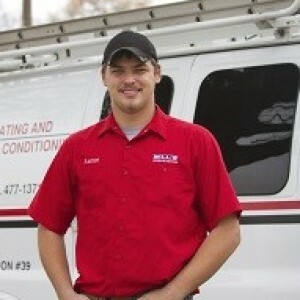 David has come to service my furnace several times and he has been very pleasant to work with as well. All the technicians have been on time, polite, thorough, and patiently answer all my questions. I highly recommend Bill's Heating. We were very pleased with the service we received from Troy. He was very courteous and professional. Troy answered all our questions about our air conditioning unit. We would definitely ask for Troy again. He is a very good representative for Bill's Heating and Air Conditioning. Great quick and very professional service on our home water furnace issue on a 15 year old system . 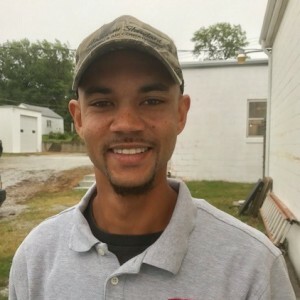 Its is nice to deal with professionals in the heating/ac business that have experience trouble shooting all issues that come up at times and they will be first number to call again for any issue in years ahead for our home. Troy is very thorough and informative. Troy does a fantastic job with a detailed explanation of the problem, the process to have it fixed, and how to do some preventive maintenance myself to stretch the life of the product. He's very knowledgeable and professional. Troy was very knowledgeable and professional. You can tell he takes pride in the service the company provides. Troy arrived as scheduled and completed a thorough inspection of our AC. Not only explained what it needed but why. Thanks! Wonderful people. Wonderful service. Prompt & dependable. Our AC went out over a intensely hot Weekend and Bills came on Sunday morning. David was friendly and explained everything so I understood. Our AC is 15 yrs old and David explained about a lubricant that would make it run more efficiently and we chose to do that. We would definitely call Bills again for future service. It’s still intensely hot but inside feels better. Thank you David. David explained everything well and answered all of my question. He was very respectful and courteous. He repaired the A/C quickly and cleaned up the area he was working in as well. David explained everything and answered all my questions and was very courteous and respectful. He made the required repairs and the A/C is working good now. Ryan and Alex recently put in a new HVAC system for us. They were courteous, efficient and professional. We've used Bill's for nearly 30 years, in four different houses -- never a regret! Troy was on time and performed a professional job on our A/C. I really appreciate the honest & outstanding work that I always get from Bill's Heating & Air. They keep my a/c & furnace running great! David the service tech was just out & made sure my a/c was good to go & gave me some good recommendations to keep my unit running strong. And I always enjoy talking to Shelly on the phone when I schedule my appt. Even though we've never met, she is always so kind & friendly & makes me feel like we've been friends forever!! Great company, great people & great product! Thanks Bill's Heat & Air!!. You've got a customer for life!!! Troy arrived on time and completed a thorough check of our air conditioner. He explained everything my husband asked him about. He explained the new item he put in our A/C for longevity. We were very pleased with his service. Would recommend Bill's to any of our friends or neighbors. He even ate a few of my S'More bars I offered, and said they were excellent. Troy was very pleasant and respectful. He took his shoes off to walk across the carpet to the basement. He answered my questions and even spoke to my husband on the phone since my husband wasn't home. He explained everything he did in a manner a lay person can understand. Everyone was wonderful! Excellent customer service and the work provided was excellent. Can't say enough great things about Bill's H&A/C. Have already recommended you to our friends and family. Thanks so much for a great experience!